To make your skin look beautiful and healthy, it is important to take care of it properly. 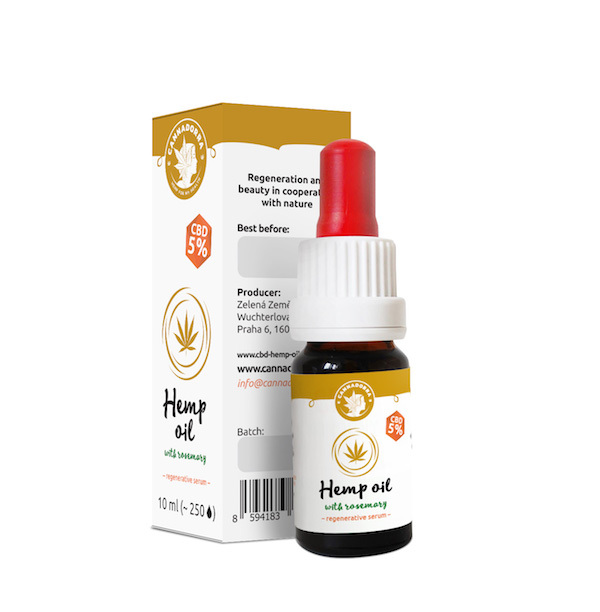 Hemp cosmetics with CBD are very beneficial - especially thanks to anti-inflammatory and neuroprotective properties. CBD regenerative serum is a great help in dealing with various skin ailments and skin problems. Skin retains hydrated and fresh. Do not forget to combine cosmetics with appropriate dietary supplements - ideal with hemp protein, hemp seeds, or CBD hemp oil.